William Buick landed his third Nassau Stakes victory in six years as fantastic filly Wild Illusion won the £600,000 feature race on Ladies’ Day at Glorious Goodwood. The Godolphin three-year-old, trained by Charlie Appleby for his first success in the contest, streaked away from her five rivals relatively early and left them too much to do. Favourite Urban Fox, under Daniel Tudhope, was second. Buick said of the 4/1 victor: ‘Wild Illusion got into a nice rhythm in front and pricked her ears. I was always comfortable where I was and she really saw it out well to the line - she is a very tough. No other filly in training deserves it more than Wild illusion. Trainer Appleby added: ‘Wild Illusion has been rock solid all season and was fourth in a Guineas [at Newmarket], second in the Oaks [at Epsom] and second in the Ribblesdale Stakes [at Royal Ascot]. 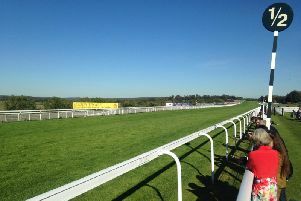 There were two Group 2 contests on the third day of the Qatar Goodwood Festival. The newly-upgraded Lillie Langtry Stakes was claimed by David Egan on the Roger Varian-trained Pilaster (11/4), but only after a stewards’ inquiry. Then the Richmond Stakes was won by 5/2 favourite Land Force for Aidan O’Brien and Ryan Moore - a duo whose Nassau hopes, with Rhododendron, ended with a whimper 35 minutes later. Before the main race card the Magnolia Cup ladies’ race was won by Katie Forrest on Harry Hurricane, the event expected to raise £200,000 for Cancer research UK.